We are backed by a team of dedicated and immensely skilled professionals, who enables us to provide Condenser Retubing Services in industry. We use modern technology machines and innovative techniques in cleaning the condensers. These services are accredited for their timeliness, reliability, promptness and efficient working. 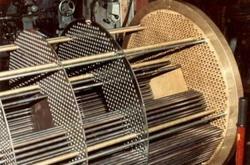 - No Shutdown of plant is required for cleaning of condenser tubes in power plant. Backed by a team of highly experienced professionals, we are offering a broad assortment of Condenser Cleaning Service to our customers. These services are rendered with following industry standards. Offered services are executed under the supervision of quality controller to ensure accurate service to the customers. • To reduce existing slime formation. • No further hard scale formation. • To keep condenser tubes clean for all time. • No condenser De-scaling. No acid circulation. Condensers in Power Plants need to be cleaned whenever the exchange of heat is no longer fully efficient. Supported by highly accomplished crew of employees, we are rendering Air Conditioner Condenser Cleaning Service. These provided services are delivered under the stern supervision of adroit personnel as per set industry principles. In addition to this, these provided services are attributed amid our client for reliability and cost effectiveness. We are offering a large assortment of Keilco Condenser Cleaning Service to our valuable customers. These offered services are rendered using the high-quality tools. After rendering, our quality controller experts check these condenser services to fulfill the requirements of clients. Heat exchanger tube internal jet cleaning. Cooling water sources cause different tube fouling problems, affecting the heat transfer and life expectancy of Heat Exchangers and Condensers. 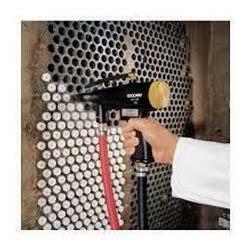 Power Stations, Refineries, Petrochemical & other industries employ as an effective and efficient method to clean the tubes.